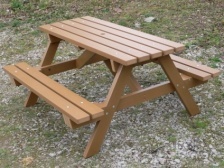 Recycled plastic lumber or recycled plastic wood, is made from taking your waste plastic and processing it for reuse. 66% less energy is needed than is required in production of virgin plastic, and it releases a whopping 250% less carbon dioxide. We turn this recycled plastic into aesthetically pleasing, useful products, for the general public, construction companies, local authorities, educational institutions and hospitals all over the world. 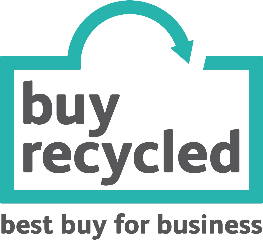 All our products are recycled as well as being recyclable. This is the ideal of recycling. It's a closed loop. All the plastic products we use as consumers should be capable of recycling indefinitely making for a sustainable future for our children and a cleaner less toxic environment. In some cases we also reuse rather than recycle. For example, we have a Recycled Plastic Compost Tumbler / Compost Bin - appropriately named, 'The Compost Creator'. For this we reuse a food grade plastic drum previously used to transport food products. Reuse is vastly superior to simply recycling. There is no significant consumption of energy, as there is no manufacturing process involving heavy use of energy. We just drill a few holes in the drum and clean it up as best we can. Both recycling plastic as well as reusing it keeps large amounts of plastic waste out of expensive and now difficult to find landfill. This results in a lower carbon footprint and reduced human contribution to global warming and climate change. 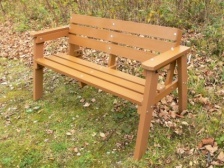 Recycled Mixed Plastic Lumber, recycled HDPE and recycled polystyrene (which is the primary waste plastic in our recycled plastic wood or recycled plastic timber) are what we make all our products out of. These, often brightly coloured, Recycled plastic products are extremely durable and attractive. They will maintain their appearance for many years to come. Our highly acclaimed Compost Tumbler, or Compost Bin, Raised Beds, Garden Planters, 2 and 3 Seater Garden Benches, Sports Benches, Play Dens, and other Outdoor Classroom products are not flimsy and light, but robust and solid enough not to blow away in a gale. 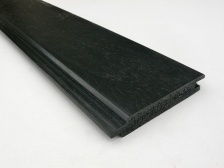 We also have the basic materials, the Recycled Plastic Wood (synthetic wood) and Recycled Plastic Profiles (mixed plastic) available for sale direct to construction companies and the general public from our sister website kedel.co.uk. The DIY enthusiast or any major building and construction project can start using Recycled Plastic Wood from the UK, immediately in any building project. 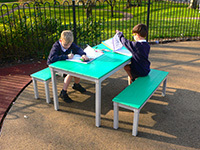 These materials are ideal for schools, nurseries, and colleges who want to be eco friendly and sustainable, as well as reduce their replacement and maintenance costs. 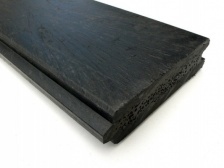 Unlike wood, these recycled plastic products never rot or entertain mould growth. They will never need paint or toxic preservative. Forget low maintenance, we're talking about no maintenance other than cleaning, and a recycled plastic product that will last for several generations of children. If you would like to pay us a visit you will be very welcome. Our manufacturing unit is in Burnley, Lancashire. We deliver nationwide, but you may be nearby and can pop in to see us. Best to call 01282 861325 first though. We're close enough for a visit if you are in Nelson, Foulridge, Lane Bottom, Colne, Bradford, Clitheroe, Accrington, Blackburn, Keighley, Newchurch, Preston, Rochdale, Huddersfield, Shipley, Dewsbury, Castleford, Harrogate, Wakefield, Darwen, Leyland, Halifax, Bacup, Hebden Bridge, Barnoldswick, and West Yorkshire. Manchester or Bolton are a stones throw away. Come and see our showroom and view these elegant recycled plastic products close up. Our plastic wood will amaze you. This recycled plastic looks and feels like genuine wood but is superior in design and quality to traditional wood lumber or timber products.